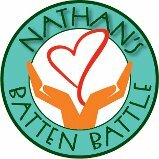 Nathan's Batten Battle – Page 3 – Our 14 year old son has been diagnosed with Juvenille Batten disease. This is a very rare neurodegenerative disorder that is fatal. This is our journey.